I celebrated Samhain yesterday by doing a small ritual. I also watched “Arsenic and Old Lace” a black comedy set at Hallowe’en with lots of death and madness in it. I know a lot of people watch horror films, but I don’t like them. 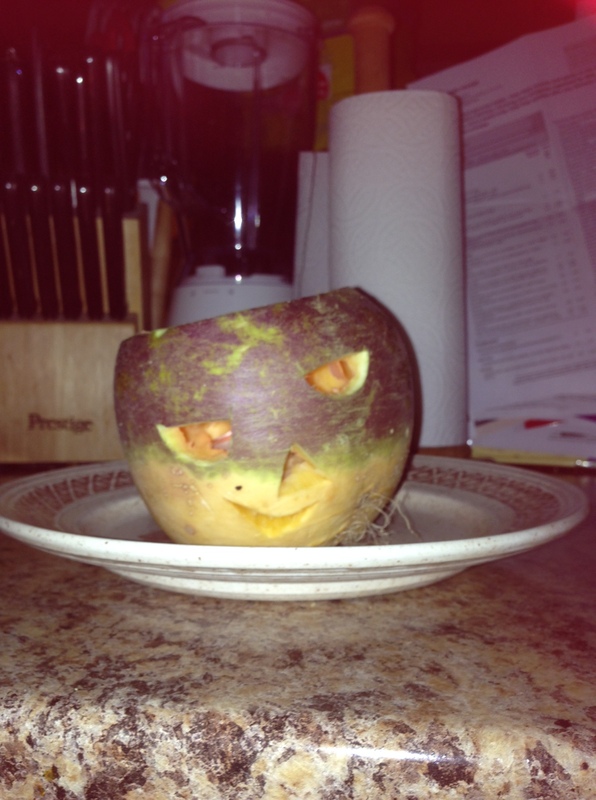 I also carved a turnip lantern, which took the best part of an hour to do. It’s the hollowing out that takes time. My husband was going to cook a dish his mother had cooked, but owing to an accident on the motorway he got back really late and we had a takeaway over a Babylon 5 film with Asmodeus in it, which was oddly appropriate as we didn’t know that when we started watching. I asked for “Sixth Sense” which would have been appropriate, but he didn’t want to watch that.